It took two multi-platinum albums, several hits and a few Grammy nominations for people to realize that the Black Eyed Peas weren't just a silly, poppy, hip-hop gimmick (and to be fair, some people still aren't convinced). 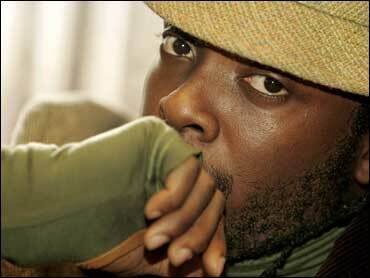 So Will.i.am, best known as the group's dreadlocked lead lyricist but more importantly is its creative director, isn't surprised that it has taken awhile for the world to take note of his production prowess as the Peas' main writer and producer, and as a producer and songwriter for others. What surprises him is the song that finally made people come around. "The thing that made people realize me as a producer was `My Humps,' ironically," Will shrugs about last year's wacky smash about the lure of the female form. They will soon learn that his repertoire is broader than that, and broader than the Black Eyed Peas. Will (who's given name is William Adams) was nominated for a Grammy for song of the year for co-writing John Legend's breakout acoustic piano ballad, "Ordinary People," and he recently produced Sergio Mendes' all-star comeback album as well as a song for Mary J. Blige on her comeback smash album "The Breakthrough." Some of his upcoming projects include Diddy, Snoop Dogg, and Justin Timberlake, a list that definitely places him on the hot list of producers. "He's brilliant; he's one of my favorite people to work with," says Legend. "He's bouncing off the wall in the studio, and he's so positive. It's just fun to work with people like that." But Will never wanted to be the producer with whom everyone wants to work. 2Clearly, that approach helped the Peas, currently on their first headline tour of the United States. When the group debuted in 1998, the quirky, multiethnic rap trio of will, taboo and apl.de.ap appealed to a niche audience. With the addition of lead singer Fergie in 2003, they gained broader pop appeal for their quirky hip-hop sound. They sold nearly three million copies of their third album, "Elephunk," which had hits like "Where's The Love" and "Let's Get It Started." Last year's follow-up, "Monkey Business," has also been a multi-platinum success thanks to "My Humps," "Pump It" and "Don't Phunk with My Heart." Will not only produced those albums but was a writer and engineer on many of their hits. Still, despite all their success, the Peas were seen by some critics and industry insiders as a fluff band on their way to being one-hit wonders. "A lot of them thought, `Oh, this is it, they just got lucky," he says of the success with "Elephunk." "It seems like luck. But they didn't know I was practicing my half-court shot!" he says, sitting in his newly renovated recording studio in suburban Los Angeles. A few knew about his abilities, though. The 31-year-old was tapped to work on projects including tribute discs for the Isley Brothers and Earth Wind & Fire. He took those gigs for a chance to work with music legends. "Those are like projects that you don't say no to. Earth Wind & Fire? You've gotta do those things," he says. But it was a younger act that would broaden his appeal. Legend's "Ordinary People," a sparse ballad featuring only Legend's voice and a piano, was originally written by the pair for the Peas. But will realized that it didn't fit the group's vibe, so when Legend asked to use it for his debut album, he agreed - "like a fool!" Will says before cracking up. Legend even wanted will to produce the record, but he declined. "I was like, `John - it's a piano ballad! Put some mikes on the piano and press record!' "I don't like talking credit for little dumb things. Because I'm an artist before I'm a producer," he adds. "I don't like when producers, they do a beat, they leave the studio and the engineer does all the work ... When I produce a record, I'm in there from the beginning to the end." And instead of barking commands, Will strives to make sure the finished product is reflective of the artist's vision. "I hate to take the role like, `I'm the producer, you sit back!' None of that. That's whack," he says. "I've been in that vibe, I don't like making music like that. I'm like, `What's in your head? What's the music that you feel like?'" That laid-back approach is just one of the reasons will has become that sought-after producer. "He was easy to work with," says Blige of his work on the song "About You" on her new album. "We finished that song in one night - a couple of hours. He's a lot of fun." Recently, Will became more than a producer - he inked a label deal with the Peas' label, A&M/Interscope, establishing the will.i.am music group. Mendes' "Timeless" album was his label's first project; a solo debut from Fergie and an album with Macy Gray is next on the list, and maybe even a will.i.am solo project. All of which will undoubtedly take away from the Peas. But with the group planning to go on hiatus after their tour ends in late May, will is quite ready to think outside the Peas. "I think the Black Eyed Peas have done all that they could possibly do," he says. "I want to lend that to other people that I like, that I'm inspired by, that I've always dreamed of working with - share the wealth, so to speak."